A new urban fantasy series by USA Today best-selling author Angela Roquet. This audiobook bundle includes audiobooks one, two, and three in the Blood Vice series. Detective Jenna Skye bombs her first week on the St. Louis Vice Squad when she's bitten by a vampire in a supernatural brothel. Her day only gets worse from there. She wakes up in the morgue and discovers her partner is dead. Before the sun rises, she realizes she is, too. 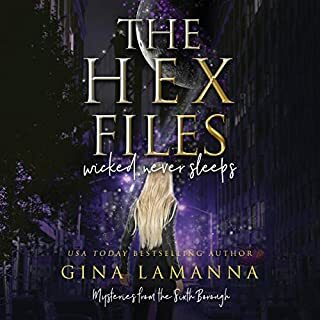 Jenna vows to continue their investigation until justice is served, but a werewolf squatter, an unexpected visit from her estranged sister, and a nosy FBI agent stand in her way. Not to mention her fresh aversion to sunlight and a thirst for something a little stiffer than revenge. 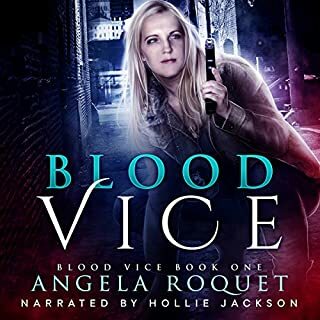 Books 1-3 of the Blood Vice series are interesting with plenty of action, intrigue, mystery, a little romance, and a lot of baby vampling naivety. The storylines were interesting and the characters are likable. The narrator did a nice job with providing unique voices for each character and appropriate tone inflections for each scene. I received a free copy of this audiobook at my request and have voluntarily left this review. i loved this bandle very much! The stories were captivating and very well wrriten ! I loved this audiobook box set of books 1-3. I actually do not listen to/read Vampire stories. I'm sure glad I was able to listen to this one! The problems of a newly turned vamp was extremely well done. The idea that new vamps are very much open to another almost immediate final death was a new concept for me. I very much can recommend this book. Now for the obligatory: "I was given this free review copy audiobook at my request and have voluntarily left this review." 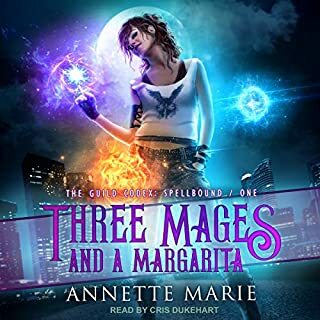 Angela Roquet and her narrator Holly Jackson once again bring another great series to audio. Jenn the main character and her friends go thru her change to a vamp with intrigue, wit, and a little romance. And, thank you very much, no whining. Kept my interest throughout, wanting to hear more. This audio was given to me free of charge, and I voluntarily gave this review. These three books were a terrific listen. There was plenty of action and of course some vampire angst. The narration was excellent with each character having their own voice and personality. I haven't enjoyed a female vampire character this much since Samantha Moon by J.R. Rain. I couldn't stop listening. Hollie Jackson is a fabulous narrator and makes the story flow seamlessly. Blood Vice is a good paranormal fantasy story. There is a lot of action happening which is great for marathon listening and not becoming bored. I would've liked to have had more romance, but that's just my personal opinion. I enjoyed the sense of humor strewn about the book. Having all 3 books in 1 was great. 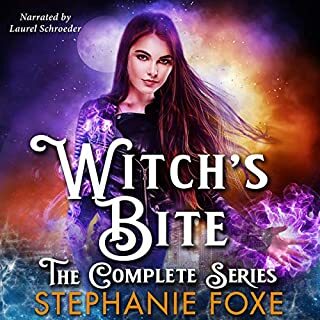 "I was given this free review copy audiobook at my request and have voluntarily left this review"
Fantastic series!!!! One of my favorite authors!!! GET THESE BOOKS!!!!!! Period it's that simple and they are that FANTASTIC!!!!!!! I can't wait for the next one to be released!!!!! Angela Roquet is a very talented writer and the narrator, Hollie Jackson is excellent as always. The storyline and plot is fantastic. A different angle from the usual vampire stories. The idea of a young vampire adjusting to a new life and going to a vampire "boot camp" for training is truly amazing. The story flows smoothly and Hollie Jackson's voices for the different characters kept me engrossed throughout. I love the boxed set of the first 3 books which well worth a credit. Thank you Audible. I hope book four will come out soon!. Normally after listening to three books in a series in a row I need a break, but this trio of books left me wanting more, thank goodness there are more books in the series. Waking up a vampire can't be easy so I was impressed with how well Jenna handled it. She's a very likeable main character and how she goes about handling her new situation and the people around her make these books very enjoyable. The characters as a whole are well developed, they feel real and have their own likes and dislikes and plenty of quirks. The world building is also well done, the vampire and were cultures are distinct and detailed. As long as this trio is I had to force myself to stop listening so I could get enough sleep so I'd be functional at work. The narration is excellent, great character voices and the delivery is smooth and well paced. I needed a new urban fantasy series. Definitely gunna follow this one. Very enjoyable with interesting story and characters. Excellent narration helped bring the story to life.